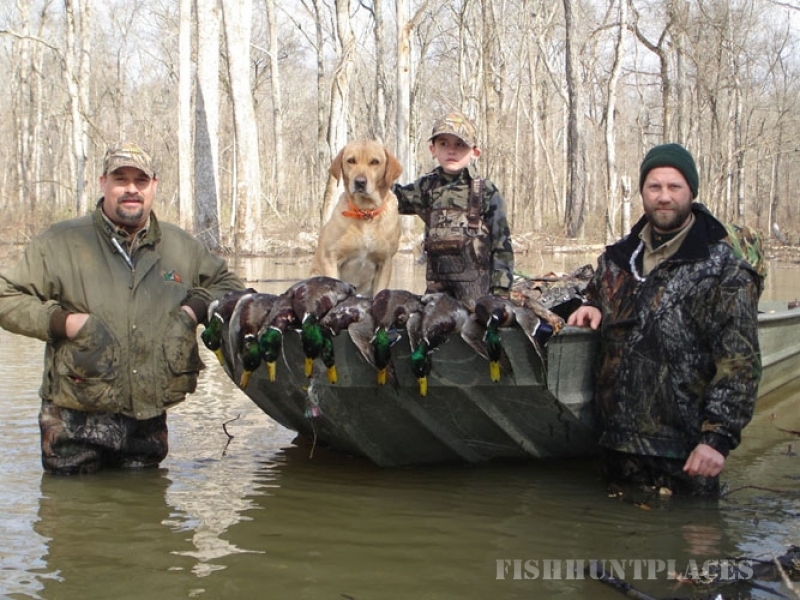 Hunting in United States Arkansas Duck Guides Inc. 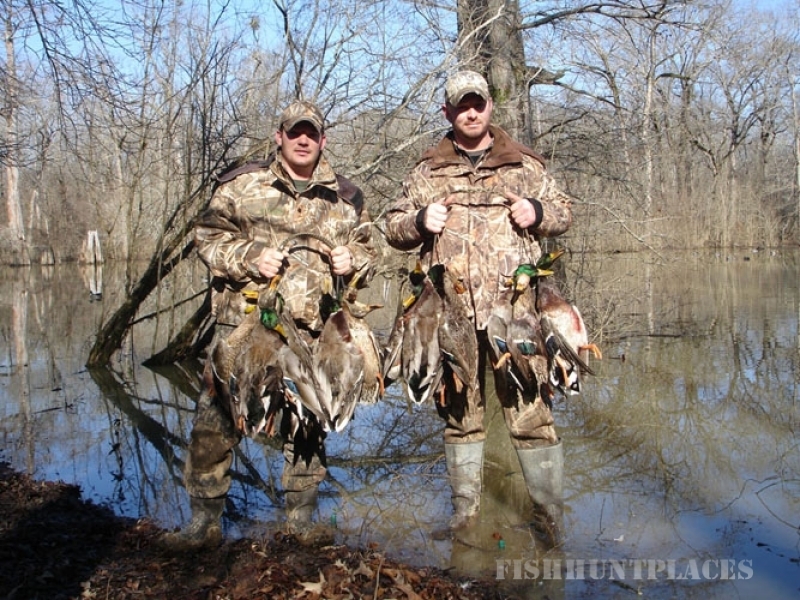 Hunting in : United States : Arkansas : Duck Guides Inc. 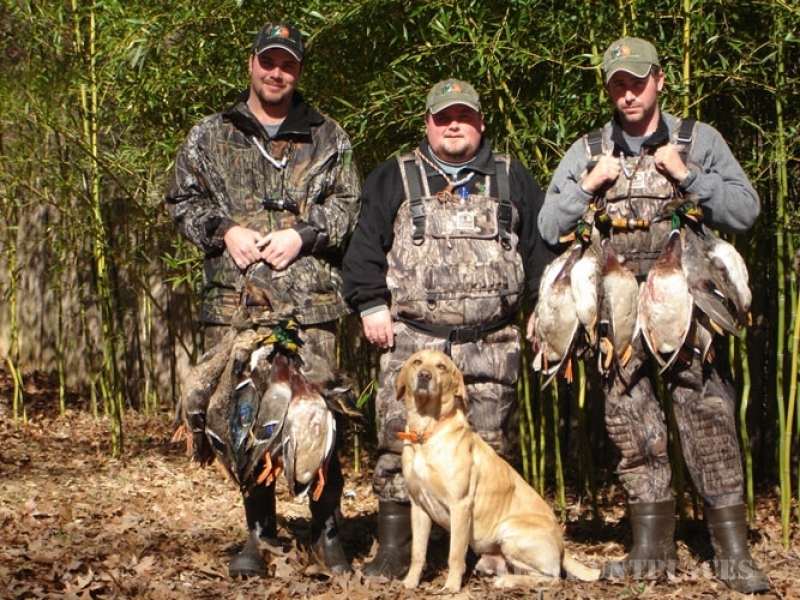 Duck Guides Inc. was established in 1994. It is family owned and operated by Thayn Morton, an Arkansas County native who has more than 28 years of hunting and guiding experience, his wife Sally, and his twin sons Cody and Corby. Duck Guides Inc.'s guides are life long residents of the area, are very experienced and possess a unique knowledge of the hunting areas. Every effort will be made to provide you with a quality safe hunt. Our goal is to offer you a Professional Hunt and Personal Service with a Down Home Atmosphere.Remember, introducesomeone new to the outdoors and when possible please take a kid. Enjoy your stay at our Fowl Play Lodge... We have a beautiful 7000sq ft lodge that features a large great room with a fireplace and flat screen TV. You can relax on our comfortable La-Z-Boy couches and recliners. We have a large area with a bar, TV, and regulation size pool table. There are four private or semi-private bedrooms and three bunk style rooms. 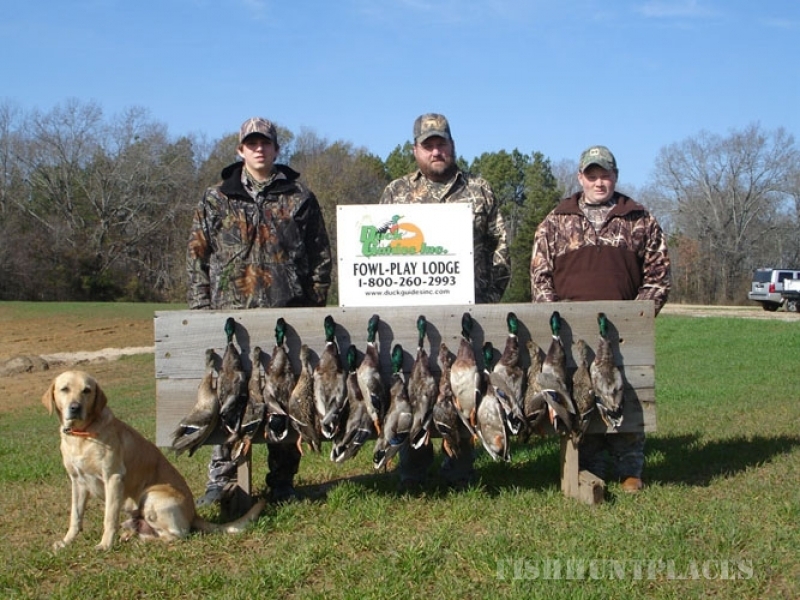 Fowl Play Lodge will comfortably accomadate small to large groups including corporations. We have a full time friendly staff that will cater to your every need, keeping your rooms and our lodge neat and clean. Everyone is welcome young or old, and we promise a hunting experience you won't forget. Because We Care... about your health and safety, our guides have had Heartsaver CPR and First Aid Training. Also, the staff has had (AED) Automated External Defibrillator Certified training. We own an (AED) which is located at our lodge for fast and convenient access. MEALS... start your day off before your hunt at our beautiful Arkansas Duck Hunting Lodge with a full course breakfast - eggs, bacon, sausage, biscuits, gravy, cereal, fruit, coffee, juice, and milk. There will be a sausage biscuit, and coffee for your thermos, to take on your hunt. At noon, our lunch menu consist of meals such as: Fried Chicken, Pork Chops, Hamburger Steak, Red Beans and Rice, Gumbo or Soup with a variety of vegetables. Duck Lodge dinner may include meals of Deep Fried Cornish Hen, Green Bean Bundles, Baked Potatoes, and Seven Layered Salad - Southern Fried Catfish with all the trimmings - Rib Eye or Prime Rib with Baked Potato, Salad and Rolls - BBQ Pork Loin with Baked Beans, BBQ Rice and Salad. If you would like, the cooks can of course prepare duck. Our homemade desserts are prepared daily at the lodge: Pies -Strawberry, Chocolate, Apple, Coconut, Pecan. Cakes - Chocolate, Strawberry, Rum, Italian Cream, Carrot. Cobblers - Peach, Blackberry, Apple, Cherry. Requests may be made for any meal. Our popcorn machine is always full, along with a variety of other snacks. 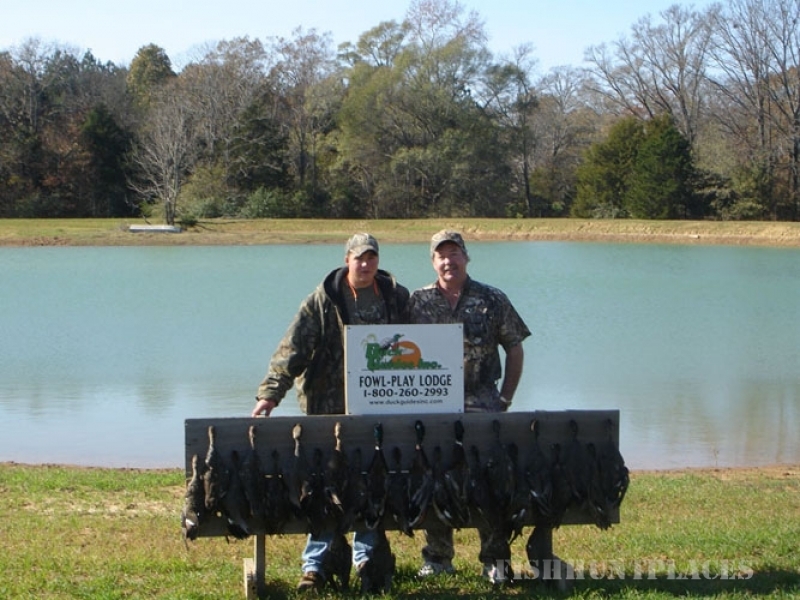 All of our hunters say the food at this Arkansas Duck Hunting Lodge alone is worth the trip!